An award-winning initiative, Battery Dance engages participants in creativity and team-building through the art form of modern dance. Students of all abilities work under the guidance of Battery Dance’s teaching artists, who are also world-class performers, creating and performing choreography of their own devising. Dancing to Connect workshops open doors for teens as they transition into the leaders and engaged citizens of tomorrow. Clement Mensah is a native of Ghana, graduated from CIOS and from The Amsterdam School of the Arts. He received a fellowship from The Ailey School in NY, to later earn his MA in Dance Performance at Trinity Laban School in London. 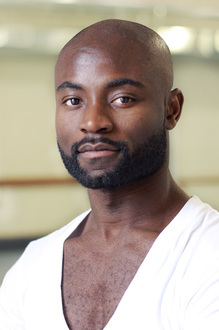 Mr. Mensah has danced with Ronald K. Brown/Evidence, Elisa Monte Dance Company, Francesca Harper, and Limón Dance. He is currently working with Battery Dance as well with Reggie Wilson/Fist and Heel Performance Group. He has traveled extensively performing, teaching and conducting community projects throughout The Americas, Africa, Europe and Asia as a cultural ambassador with Battery Dance’s signature teaching program Dancing to Connect.